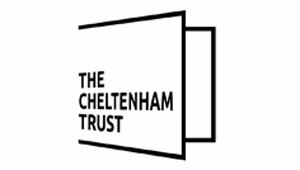 As part of our role developing the visitor economy for Cheltenham, we curate and share relevant and useful content which encourages more visitors, or which supports their experience while in Destination. The audiences we reach are varied, from regular visitors within a 30 minute radius, through to international visitors making a dedicated trip to Cheltenham, or visiting as part of a wider Cotswold trip. To support this content curation, we encourage local Cheltenham businesses and regional attractions to supply us with relevant and engaging content with a number of key themes. This ‘call for content’ is sent out every month via email (contact us to register your email address), and will also be listed here. This list will be updated all the time, so we recommend bookmarking the page and visiting often. …by the deadline listed, to marketing@marketingcheltenham.co.uk. Ideally, your content should be interesting and inspiring and although it can include your sales messages should not be a hard sell. Tell us what makes your business different, why your initiative is special, why it’s not to be missed? Feeling the love ahead of the most romantic day of the year? Us too! Submit your loved-up events, Valentine themed menu’s and those extra special offers or packages in Cheltenham to be featured on our website! We’re on the look out for some Mother’s Day and family events for the big Sunday as well as afternoon teas and wellness and spa promotions designed especially for special ladies. Spring is on its way and ready to hatch out early March! We’ve already begun hunting down the best Easter events and fun activities to keep the whole family entertained during the break. Make sure to submit yours early to get the best exposure. As Cheltenham’s motto is ‘Health & Education’, we want to run a series of features on everything you can learn in Cheltenham. Courses, workshops, regular learning events, new skills, whatever you think will be of interest to a visitor from out of town, which doesn’t need regular attendance please. Deadline: The page is up and running, and relevant events will be added as soon as they have been uploaded. Hotel with spa facilities? We’re looking for information on your overnight spa packages to add to the website. Please let us have a description, prices and restrictions for any standard packages, and let us know of any special rates. This page will be live for the remainder of 2018, so please don’t make it time-sensitive.